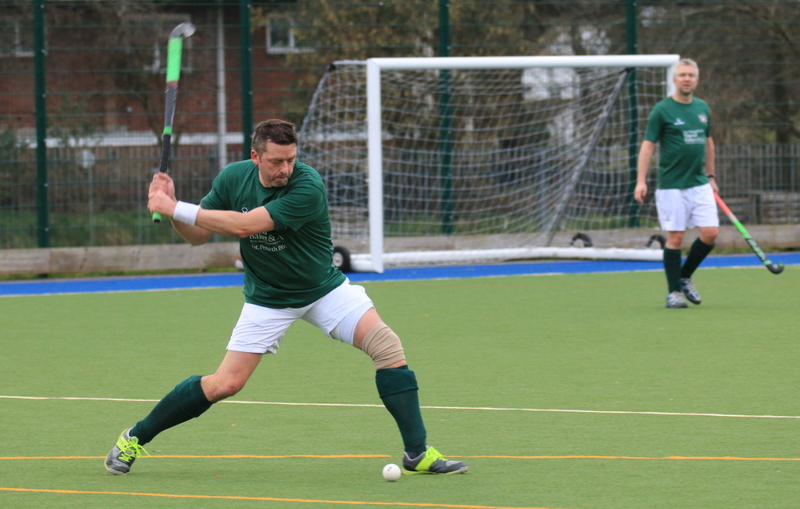 Penarth Hockey Club’s 1st XI came up empty-handed in their pursuit of a fourth successive promotion in the Verde Recreo League, missing out on a spot in UK hockey’s National League as a result. The 1st XI began the week still in with a shout of promotion, but ultimately travelled to Bath for their last league game of the season knowing that the fixture was effectively a dead rubber with results elsewhere ensuring that neither side was a candidate for promotion or relegation. Penarth started brightly, stringing passes together and creating a couple of half chances on goal that went unconverted, but set out the Bears attacking intent as they looked to end the season on a high note. Continuing to apply pressure to the Bath end, the visitors were rewarded with the first penalty corner of the game, and duly took the lead thanks to a good finish from Chris Hardy. With the game in the balance, and a chance to improve their league standing with all three points, Penarth started the second half as well as they had the first, enjoying a lot of possession high up the pitch. However, with chances again going begging, the hoped-for victory was far from certain, and Bath were quick to punish the profligacy, hitting the Bears twice on the counter and to score a couple of quick-fire goals that ultimately decided the outcome of the game. Such has been the intense competition in the middle of the Verde Recreo Premiership that Penarth only missed out on the fourth promotion spot by five points – the legacy of defeat in their final two games – but still wound up only seventh overall. Victory in Bath would have improved their final position by just a single place, but would have made the shortfall just a couple of points. At the end of their first season in the highest echelon of regional hockey, the Bears can be proud of the fact that were a contender for elevation to the National League until the very end, but will rue too many points dropped from strong positions and a lack of discipline that proved, once again, to be an unwelcome theme for the year. Safe in the knowledge that they comfortably survived in the Premiership, however, should give the team confidence heading into the 2019-20 campaign, with the aim of joining the country’s elite at the second opportunity having used this season’s experience to work out where they need to raise their game. The 2nd XI’s game with bottom-of-the-table Wotton proved to be a tale of two goalkeepers, with Penarth’s Calum Grant having very little to do but being his usual efficient self when required, while his opposite number performed bravely but could not prevent the deluge that overwhelmed his team. Still fresh in the minds of several Penarth players was the way victory had been denied them in the corresponding away fixture last December, with the eventual 3-3 draw a result that heralded the start of a tough period for a team that had been early challengers for promotion from De Cymru & The Marches 2. Determined to erase those memories, and hoping to capitalise on their opponents’ indifferent away record, the Bears were quick out of the blocks and went a goal up within five minutes of the start, as David Joyce charged across the visitors’ circle and fired home a trademark reverse strike. Shortly afterwards, Phil Lane – making a welcome return to the ‘A’ team – showed a deft touch to angle in a neat deflection and, not to be outdone, the in-form ‘Storming’ Aaron Fulton-Brown immediately added a third after a neat passage of dribbling to ensure that the game was effectively over before 15 minutes had elapsed. Penarth were in no mood to let up, however, and, keen to end their season on a high, continued to press the Wotton goal. There was still time before the break to take the lead to five, with Jasminder Singh – who had an excellent game – adding a fine individual goal and Joyce scoring his second. Wotton refused to give in, meanwhile, and tried to gain an early foothold after the restart, requiring Mark Thomas to make a couple of impressive tackles to break up attacks that could have threatened Grant’s slumber. With Liam Murphy and Andy Strong sealing up midfield, however, there were opportunities for Lewis Ingram, captain Tom Parkinson and James Broad to press forward at will, leading to Joyce added another brace to take his tally to four for the day, his last coming when he finished clinically after a penalty corner was not dealt with by the Wotton defence. Even the most ardent of celebrations would struggle to produce a two-week hangover, but the 3rd XI appeared on course to succumb to their De Cymru 2 title success in a poor performance against bottom-of-the-table Swansea. Despite the side featuring the same array of weapons that had notched up 100 goals in the previous 17 games, Penarth struggled not only to find the net, but also any semblance of the fluid passing game that had been behind much of their success during the season. Whether it was complacency, the effect of a weekend off since clinching the title or end-of-season malaise, the Bears looked a shadow of their former selves and could easily have gone three goals down in the opening ten minutes as the defence was left exposed to quick Swansea breaks. Up front, chances went begging throughout the half, with build-up play selfishly squandered and a lack of composure in front of goal allying with another inspired performance from Swansea’s young ‘keeper to keep the game scoreless at the break. Aware – perhaps overly so – that they had beaten the same opposition 10-1 and 8-0 in their previous encounters this season, Penarth were determined to avoid a repeat of the first half embarrassment, but initially looked to be headed for more of the same as they allowed the visitors to pack the D without any hint of an alternate strategy to break them down. Unfortunately for Swansea, it took a stroke of luck for the deadlock to be broken, with a defender’s stick deflecting another seemingly harmless ball wide of the ‘keeper and placing it perfectly for the lurking Jack Daly to nudge it home. The breakthrough, however, still did not open the floodgates as might have been imagined and, even though Penarth goalkeeper Ben Jewess had relatively little to do, Swansea continued to sense a potential upset. Penarth nerves were settled a little when Craig Llewellyn fired home a penalty corner midway through the half, and the game was finally put beyond doubt when James Kidby finished with a deft flick over the hapless ‘keeper with just minutes to play, but this was far from a vintage Bears performance and will need to be improved if the side is to have ambitions of progressing in De Cymru 1 next season. With the 4th XI having already completed their league campaign, it was left to the Fifths to wrap up proceedings in De Cymru 3 – except they did so in Pencoed rather than Penarth when fixture congestion at Stanwell saw the game moved west. Already safe in fourth place in the division – an achievement that probably exceeded expectation when the side was created less than a year ago – the Bears could play without pressure, but were made to fight for all three points by a Bridgend side just one spot below them in the standings. In the end, a seven-goal thriller was decided by a single strike in favour of the ‘away’ side, with the combined youth and experience of Penarth coming out on top. With the Verde Recreo League campaign now completed, attention will turn to the cup competitions, with the 1st XI taking on Cardiff & Met in the semi-final of the Welsh Championship at the Welsh Institute of Sport at Sophia Gardens on Saturday. The club also extends its congratulations to Penarth Ladies, who saw their 1st XI promoted to the English Hockey League last weekend, with both the 2nd and 3rd XIs still in the hunt for promotion from their respective divisions.